Stinson Copper & Suede RugStinson Copper &amp; Suede Rug, alt="Stinson Copper &amp; Suede Rug, "
Print Artisans weave together beautiful bits of recycled leather to create this metallic masterpiece. Just shimmery enough, it combines that coastal vibe we love with the perfect dose of glam. A fringe on the edges finishes off the look. And because it’s completely handwoven, no two will be exactly alike. Made of 100% cowhide. Fringe and warp yarns woven of 55% cotton, 24% polyester, and 21% rayon. Due to the natural variations in recycled leather, no two will look exactly alike. Avoid pulling at loose ends or trimming them with scissors. Approx. 2” fringe on either end. 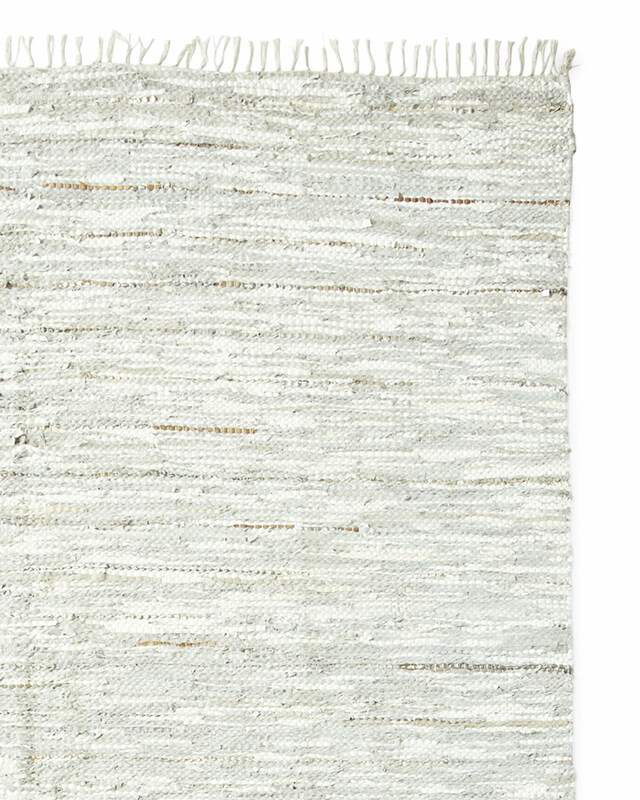 To preserve the beauty of your woven rug, avoid vacuuming. To remove dust and debris, shake the rug outside or sweep with a broom. Avoid pulling at any loose ends or trimming them with scissors. 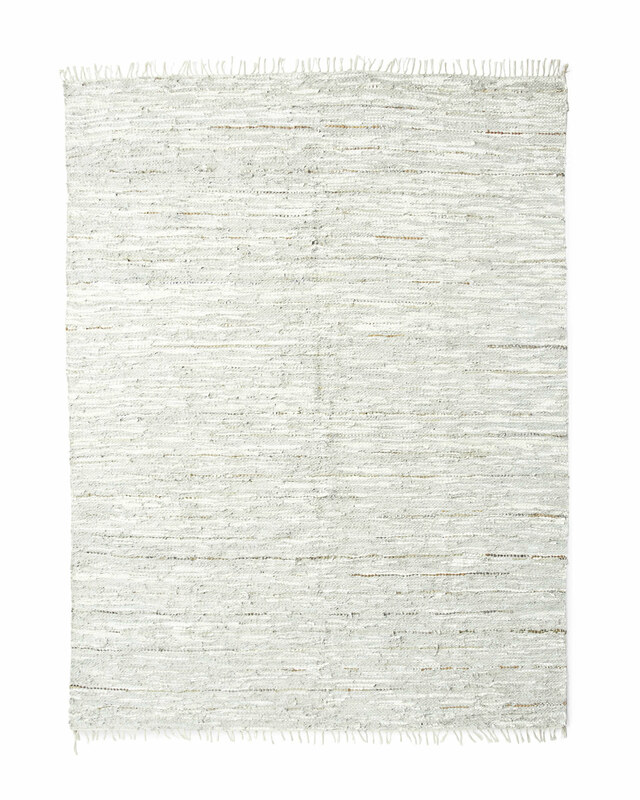 Woven strips that come untucked can simply be tucked back in, to restore the look of your rug. Blot spills with a soft, dry cloth. For hard-to-remove spills, professional cleaning is recommended.